‘I Go Missing In My Sleep’ is the full-length debut album from Brooklyn’s Wilsen. Released in spring 2017 it was co-produced by Wilsen & Ben Baptie (Lapsley, Adult Jazz) in upstate New York and rural Philadelphia. It follows the self-release of double EP ‘Sirens’ and the ‘Magnolia’ & 'Magnolia Remixed' EPs. Wilsen are signed to Secret City & Dalliance/Kobalt Records. They are published by Domino. Wilsen's second album is due summer 2019. What a wurl that was. We start making official marks on the new album this weekend. Songs on songs on songs. Happy 10th birthday Stay Loose. If not for you, we’d prob still be stuck in the pub playing darts with no-teeth-Steve or dropping gear on every on-ramp in the USA. Our Buzzsession of Centipede is out now. Big thanks to @thewildhoneypie @thecreamerystudio @jfettig Quinn McCarthy @minupark_in_the_mist. @audiofemme presents Briana Marela, Gold Child & us at Baby's All Right tomorrow night. Today, the Brooklyn trio Wilsen is excited to unveil a remix of “Told You” from their latest record 'I Go Missing In My Sleep', available now via Kobalt/Dalliance & Secret City Records. We're at @mohawkaustin tomorrow with @rubyfray & Jana Horn. Hello campers! Come to our next event in Brooklyn on October 4 with Wilsen! Tamsin Wilson’s UK/EU solo support tour with American singer/songwriter Diane Birch begins tomorrow at Sacred Trinity in Manchester. The run of five dates follows the release of Wilsen’s debut album ‘I Go Missing In My Sleep’. Tamsin Wilson - UK-born/NY-based vocalist and lead songwriter with Wilsen - will perform solo as support to American singer/songwriter Diane Birch during her UK & European May tour. The tour will follow the release of Wilsen’s debut album - ‘I Go Missing In My Sleep’ - which is available in stores/online this coming Friday, 28th April. Wilsen – the Brooklyn trio led by singer/songwriter Tamsin Wilson – share "Final" today, the second new offering from their forthcoming debut 'I Go Missing In My Sleep,' out April 28 on Secret City/Dalliance. The song is a stripped-down meditation on loss, equipped with a riveting vocal melody and pensive, thought-provoking lyrics. "There is no reason and no rhyme / For those we love and those we bid goodbye," laments Tamsin Wilson over the group's sparse, delicate arrangement. 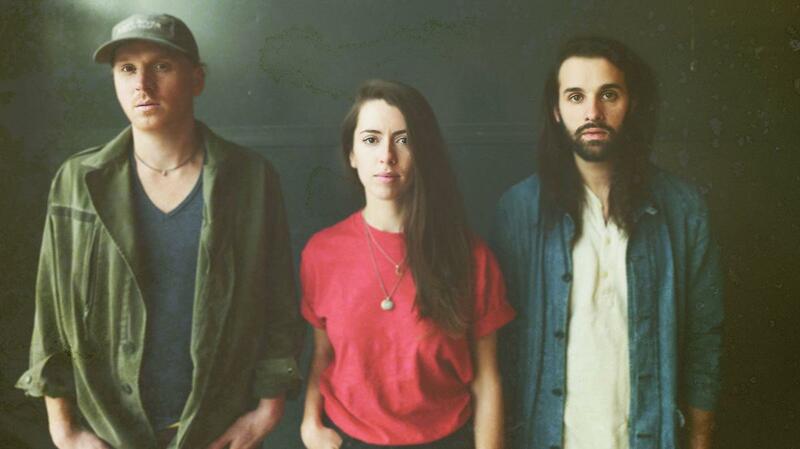 Wilsen – the Brooklyn trio led by singer/songwriter Tamsin Wilson and considered a major revelation by NPR Music – has unveiled a second music video from their forthcoming debut full-length ‘I Go Missing In My Sleep’ (out April 28/Secret City Records). Co-directed by Kenneth Edwards and Tamsin herself, the contemplative video for “Centipede” has the camera following discreetly Tamsin on a reflective journey. Wilsen – the Brooklyn trio led by singer/songwriter Tamsin Wilson that makes “spectral, towering dream folk” according to Stereogum – has unveiled the debut music video from their forthcoming debut full-length ‘I Go Missing In My Sleep’ (out April 28/Secret City Records/Dalliance). The chilling video is for the song “Garden,” and was premiered this afternoon by VEVO. 'Heavy Steps' from our debut album premiering now on NPR. 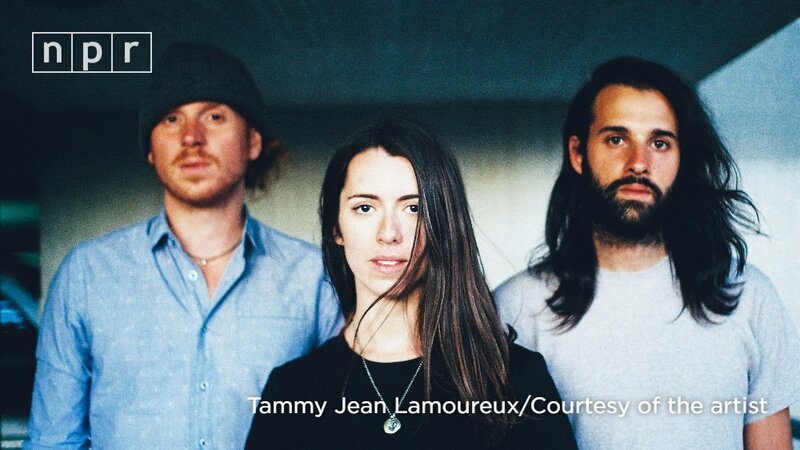 Tamsin Wilson, the songwriter, guitarist and singer for the band Wilsen, composed many of the songs for her full-length debut ‘I Go Missing In My Sleep’ in a tiny Brooklyn apartment in the fleeting pre-dawn moments when New York City is mostly still. These beautifully crafted original pieces capture an almost impossible sense of delicate quietness. ‘I Go Missing In My Sleep’ will be released in the UK on April 28th via Kobalt/Dalliance Recordings. Last night was one of my favs. Thank you @johnjosephbrill for starting it all off, Chris Worsey for the gorgeous string arrangements as performed with Natalia Bonner, and you, lovely audience. Wilsen’s Tamsin Wilson has announced a special one-off solo show at London's St Pancras Old Church on Monday 30th January. Tamsin will be accompanied by a string duo featuring Chris Worsey (Radiohead, Adele, Elbow, Florence & The Machine) and will be showcasing songs from Wilsen’s much-anticipated forthcoming new album (due for release in spring 2017, details announced soon). Wilsen have been announced as support for Daughter’s forthcoming UK tour. Fronted by British-born Tamsin Wilson, the New York band will play four shows with Daughter including a sold-out night at London’s Brixton Academy on 27th October 2016.